Providing a solid foundation in oral health care. 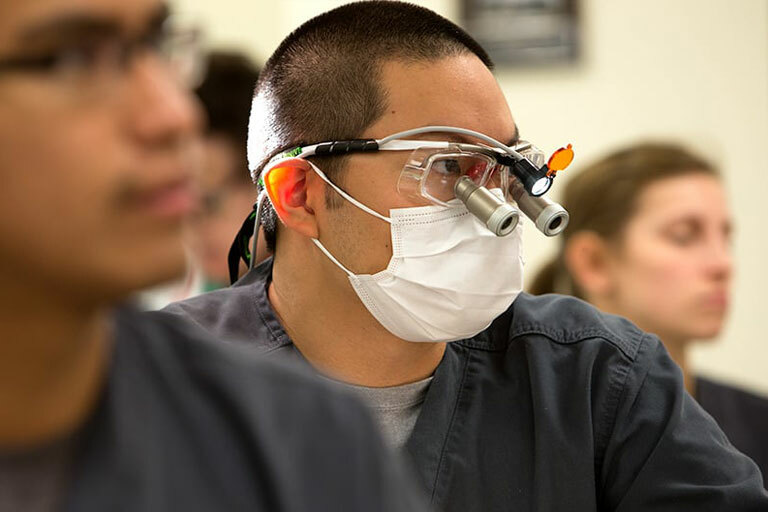 Students within the School of Dental Medicine are able to pursue a four-year degree, a combined master’s and certificate program, as well as two residency certificate programs. Welcome to the School of Dental Medicine at UNLV! UNLV School of Dental Medicine is committed to the scholarship of biomedical discovery. Faculty and students lead multiple projects on a variety of topics within the more than 4,000 square feet of laboratory space. To be considered for treatment in the student clinics, please schedule a screening appointment to determine if your needs are compatible with the educational requirements of our student doctors. Dr. Ashley Hoban, School of Dental Medicine Alumna of the Year, keeps kids smiling. Once you are admitted to the dentistry program, consult our advising office as soon as possible. Faculty advisors can help you chart the right course for your education and provide important insight into career opportunities.